Here we will try to explain the different types of resume formats that are available and the cons and pitfalls different versions may have on how to write a resume. 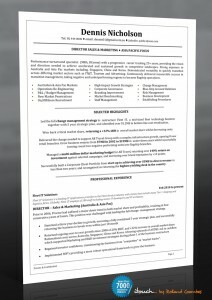 The reverse chronological resume is by far the most common resume format used on the market, and is also the preferred style of resume for recruiters and employers alike. We call it “reverse chronological” as the resume starts by listing your most recent position first and then work backwards in date order. This style of resume works very well for those who have a structured work history, and to have a clear defined target that is aligned with what employers will be seeking in position titles, company backgrounds, and transferable/related work experience. A skills based resume or functional resume is useful when a candidate needs to sell their skills based on transferable ability, but where there background may be broken or not as relevant if comparing like for like in position titles. For example, someone who has a history of contracting, temporary roles and self-employment, may prefer to choose this format to consolidate experience. It’s also useful for those who are considering changing careers completely including title types. An academic resume can be based on a reverse chronological and/or functional resume type. However, much more emphasis is placed on the educational section. This can sometimes include a full page to cover academic projects, thesis, publications etc. This type a resume can be particularly suited to those in education and academics such as lecturers and professors. A resume bio, is basically a one page to version resume highlighting areas such as position titles, accomplishments and/or education. This can be used when marketing yourself to companies, and where you feel it better to provide a “career snapshot”.